The new ruling by the Occupational Safety and Health Administration (OSHA) takes effect January 1, 2017, and requires that certain employers electronically submit accounts of injuries and illnesses at their facility. Analysis of this data will enable OSHA to use its enforcement and compliance assistance resources more efficiently. Some of the data will also be posted to the OSHA website. The rule also includes some anti-retaliation provisions. These officially went into effect August 10th, but OSHA has delayed enforcement of them until November 1st, 2016 in order to have time to reach out to regulated employers. Employers are required to inform their employees of their right to report work-related illnesses and injuries free from retaliation. 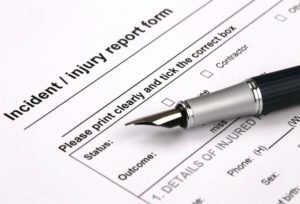 Employers must clarify the existing requirement that an employer’s procedure for reporting work-related injuries and illnesses be reasonable and not deter or discourage employees from reporting incidents. They must incorporate the existing statutory prohibition on retaliating against employees for reporting work-related injuries or illnesses. …this final rule does not ban drug testing of employees. However, the final rule does prohibit employers from using drug testing (or the threat of drug testing) as a form of adverse action against employees who report injuries or illnesses. To strike the appropriate balance here, drug testing policies should limit post-incident testing to situations in which employee drug use is likely to have contributed to the incident, and for which the drug test can accurately identify impairment caused by drug use. For example, it would likely not be reasonable to drug-test an employee who reports a bee sting, a repetitive strain injury, or an injury caused by a lack of machine guarding or a machine or tool malfunction. Such a policy is likely only to deter reporting without contributing to the employer’s understanding of why the injury occurred, or in any other way contributing to workplace safety. Employers need not specifically suspect drug use before testing, but there should be a reasonable possibility that drug use by the reporting employee was a contributing factor to the reported injury or illness in order for an employer to require drug testing. In addition, drug testing that is designed in a way that may be perceived as punitive or embarrassing to the employee is likely to deter injury reporting. For those concerned that the final rule will conflict with drug testing requirements contained in workers’ compensation laws, OSHA claims that this concern is unwarranted. If an employer conducts drug testing to comply with the requirements of a state or federal law or regulation, the employer’s motive would not be retaliatory and the final rule would not prohibit such testing. This is doubly true because Section 4(b)(4) of the Act prohibits OSHA from superseding or affecting workers’ compensation laws. 29 U.S.C. 653(b)(4). For full information on the ruling, visit OSHA’s website.